Hi. 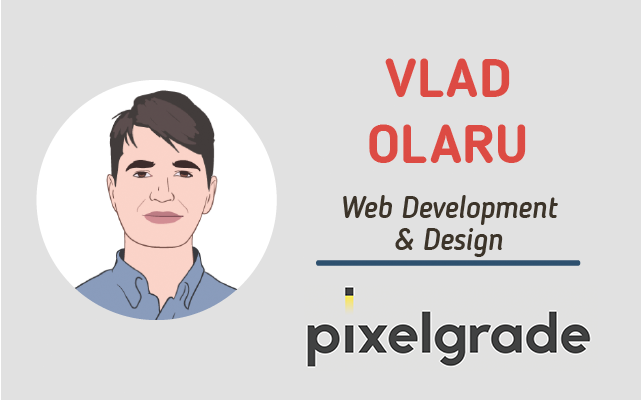 I am Vlad, CEO, and co-founder of Pixelgrade, a design studio focused on creating WordPress themes that solve digital problems. Also, I’m an architect and developer by training, and father and husband by life. I would define myself as a generalizing specialist, one that likes to have a firm grip on the bigger picture even when making only a narrow impact. I enjoy everything related to technology, digital or otherwise. Would you mind telling us a little about yourself and Pixelgrade? I’ve been into computers since second grade so you could say it was bound to happen, something involving computers that is, as the web was just getting started then. In highschool, I was very much the nerd of the herd, that guy into coding and algorithmics. By that time, the early 2000s, the web was here to stay, at least in my understanding — little did I know the world already went through the Internet boom. Me and my younger brother, George, started being attracted by the opportunities to make a buck from our passions through freelance marketplaces, such as RentACoder or vWorker. For the first 4-5 years we’ve improved our skills, learned a lot about customer service, expanded our understanding of what the web could be capable of, learned to price and sell our work, you name it — full speed rollercoaster ride. It was stressful but fun. One more important thing to understand about our primary motivation through those years: we didn’t come from a family with limited financial capabilities; we were doing just fine (the upper middle class you could say). So money for money’s sake was never our motivation – and that has stayed with us through this day. We were much more interested in doing challenging work, with decent and respectful customers, learning the trade and having fun in the process. Now I am not a hypocrite — at least not when I can help it — and go about saying that we’ve had the perfect work ethic and we’ve held ourselves to the highest principles all the time — we were quite young after all (me around 20-21 years and my brother around 15). We’ve had our occasional slip-ups and took projects for the wrong reasons or failed to stand firm on our feet when pressured. But we’ve learned the hard way, and grew a thicker, more quality oriented, professional skin — it served us very well. Pixelgrade, as our proper business entity, came as a natural, and much needed evolution of our freelancing years. We felt the need to settle down a bit, put some order in our lives and create the right context to build a team around our vision. It happened quite quickly once we’ve found an opportunity for cheap office space at a newly opening office building. We weren’t scared by the new complexity involved, as we were determined that this was right for us and we would make it happen. Another thing to understand about my brother and me is that we are a stubborn and resilient duo — we believe few things are impossible in this world and we have the determination and stamina to push through to the end. As I’ve said, we’re not the ones for fooling around, so I’ve come up with the name pretty quickly – about a week or so. I was more about finding an available .com domain that resonated with our values at the time: quality, attention to detail, perseverance, fun. And how about branding, how did you do it? This is a funny one. The icon and the typeface of our initial logo were not made by us (as many would expect) because we knew we would procrastinate forever and we had better things to do. So we’ve reached out to freelancers on 99designs and settled on something that felt right. There was no proper branding process, no brand manual – just the logo symbol. Starting from that we did our best to keep consistency in our digital presence – George is the one who pulled it off. Now there comes a time when the initial lack of due diligence begins to take its toll, and that time came around nine months ago when we’ve embarked on a lengthy process of defining our strategy, our core values and mission, and have a proper brand in place. For this, we’ve enlisted the help of a local digital branding team and pushed through the often exhausting steps of defining who we are as a team and how to best present this to the world. The end result can be seen on our site, and everywhere else we have a digital presence — we are very proud of the end outcome. Those who want to dig deeper can read an in-depth story about the entire branding journey. Recently, you’ve also released Pixelgrade Club. Could you explain to our audience what is it all about? Well, this is quite a general question. I could write a novel about how and why we’re building Pixelgrade Club, so I will give my best to highlight the essence. Almost five months ago, we switched our business model from selling stand-alone products to a membership approach. You could tell that we’re trying to become the Netflix of the WordPress themes’ playground. Basically, customers pay a monthly or yearly subscription to get access to a growing collection of our best blogging themes, along with product updates, top-notch customer support, and a bunch of adjacent tools for customizations. Everything you need to build a great website under the same roof. On top of that, our audience can quickly switch between a wide range of themes tailored to different niches (from fashion to food, from magazine to traveling), without extra costs or headaches. This way they’re always up-to-date and relevant without being needed to work with a developer or an agency. They gain more peace of mind and focus to spend on what they enjoy doing best: creating content and consolidating a personal brand and a community around their blog. Our aim is to help all those creative people who want to share their ideas in style to do it with ease, pleasure, and lower costs upfront. There’s no coincidence that everyone can kick-off the Club’s journey with a 14-days free trial period. They get full assistance from our side to put the pieces together and even launch their blog within this period of time. On the opposite side of the spectrum, they can cancel anytime, no strings attached. A straightforward and clean deal for both sides. This being said, we lend a helping hand that brings them real added value, not just marketing words thrown on the table. Even though it is still premature, we dare to say that we’re confident with how things are working out. We even have some inspiring stories about how some folks are making the most out of the Club. While we see some real traction in terms of numbers, there’s still an enormous potential to explore. 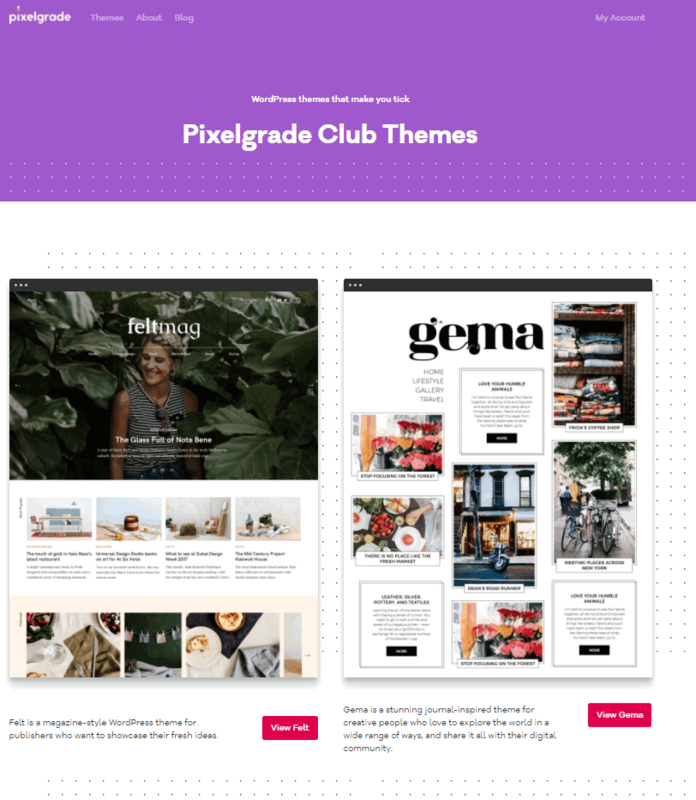 To sum it up, I’d say that Pixelgrade Club is the right fit for any blogger or storyteller out there who wants to boost their digital presence and capture attention in the long run, I strongly invite them all to start playing around and build beautiful websites that makes them proud. In short: no! I don’t think the Internet is any different than the physical world in terms of successful businesses. The same principles apply: you need to work hard, care deeply about your customers and play the long game. There is no shortcut, at least not by my definition of success.Sure… you could have an overnight success, make a lot of money and be the envy of everyone around you. Good for you, but I will not be on the cheerleading crowd. For me success is defined by having a meaningful purpose, doing challenging things and having no regrets in life. Oddly enough, I’ve discovered that money tends to follow passion and grit. There are many rookies out there who want to get online and start their own website. Do you have any advice for them? If you are just starting out your digital undertaking, first make sure that you are damn certain of why are you doing it. Is it the money? Is it because you have a passion that you believe can make you happy and sustain you at the same time? Is it because it’s cool, or just the trendy thing to do? Is it because everybody is doing it and you don’t want to miss the gold rush? Regardless of what your main drive is, you should be clear about it with yourself — it gives you clarity in the short and long run. I know everybody is saying this, but it is so important that I shouldn’t be the one to break the rule: focus your initial efforts on the 20% that delivers 80% of the result — the 80-20 rule. Be frugal with your time and effort and use it wisely. I know that when you are starting out it seems that all you have is time, but you need every advantage you can get. A major one is playing the game in a strategic way. You will be surprised to discover that few do so. Most jump head first with all guns blazing, only to be frustrated by their lack of meaningful progress. team-up – do not try to be a one-man show. 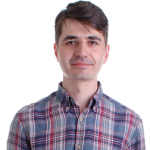 The web is so complex and the competition is so high nowadays that you have little chance of succeeding in anything remotely complicated (e.g. WordPress themes). Sure you could be a designer, work as a consultant, and you would be fine. But if you are after end products, find people with the same passion as yours and with complementary skills. Life will be much brighter and saner. steal like artist – (there is a great book with this name) – do not reinvent the wheel, but build a fancier one. The web is filled with open-source software – make the most of it, shamelessly. When shame starts to sink in, I guess it’s time to give something back and you should 🙂 You need to be focused on the end result not the tears-of-joy-all-original code you’ve written — customers don’t care about code, they care about results. We are building WordPress themes so one would have to search far and wide for trade secrets — and still wouldn’t find any. It’s not about secrets but about customer experience and results. You don’t need to hide these because despite being on everyone’s mind, they are incredibly difficult to deliver consistently over time. The next big thing for us has just started, and it’s called our new shop found on pixelgrade.com. We have bold plans for it, and we are just getting warmed up. It all adds up to being able to build beautiful, useful, reliable products and offering a wonderful experience to our customers, on an ongoing basis (think returning customers and recurring revenue). Let’s assume we’re not omniscient… what’s the one question you have an awesome answer for, but we did not think to ask? I believe your questions were good starting points and with my natural ability to digress 🙂 I’ve probably answered a couple more. So let’s leave it at that. Great interview. Thanks for doing this Vlad.